Chef Archie Saurage, born & raised in New Orleans, specializes in classic and casual dining offering all fresh ingredients to his soups and sauces. They are all fresh and homemade. 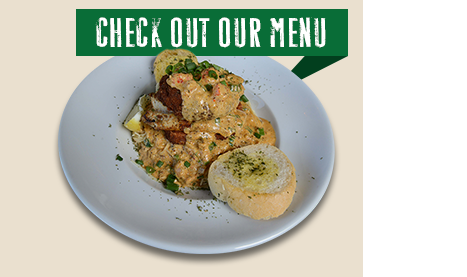 Serving Louisiana gulf seafood, local Des Allemands wild caught catfish & unique Italian dishes with the perfect kick. You must see oyster bar with raw & char-broiled oysters. Our restaurant has a New Orleans historical and jazz atmosphere as well as a private room for parties or special events. Visit our lounge area & carnival time lounge. 2014 Bistro Orleans, ALL RIGHTS RESERVED.